Unfortunately, most people who attempt the police officer selection process fail. …or that because everyone tells them they have what it takes to be a police officer, they don’t need to worry about preparation. That type of “I’ll wing it on the day” preparation just won’t cut it anymore! Not only is it an undesirable attitude for police officers, it’s almost certain you’ll fail! 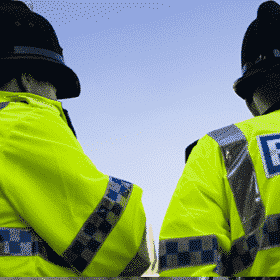 75% of all those that apply to become a police officer fail the selection process. In most cases they were underprepared. And by failing the process (at the assessment centre – if they even made it that far), they have to wait 6 months before they can reapply to ANY constabulary across the country. If you actually want to fully prepare and succeed at your first attempt, then you need to do more. 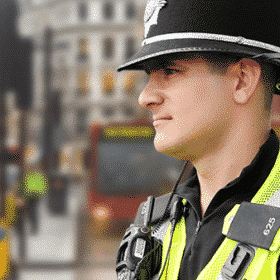 You need a PROVEN process in place to tell you exactly how, and what, you need to do to pass the UK Police officer selection process! …and get an insight to the selection process that details everything you must do to prepare and pass? FACT : EVERY EXTRA MARK that you gain really does COUNT! 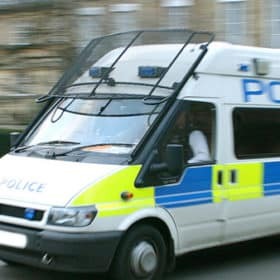 (Especially at a time when joining the police has become a rare opportunity and more competitive than it has ever been). At How2Become, we fully understand what you MUST learn, prepare for, and do to become a police officer. …We know exactly what it takes to help you. 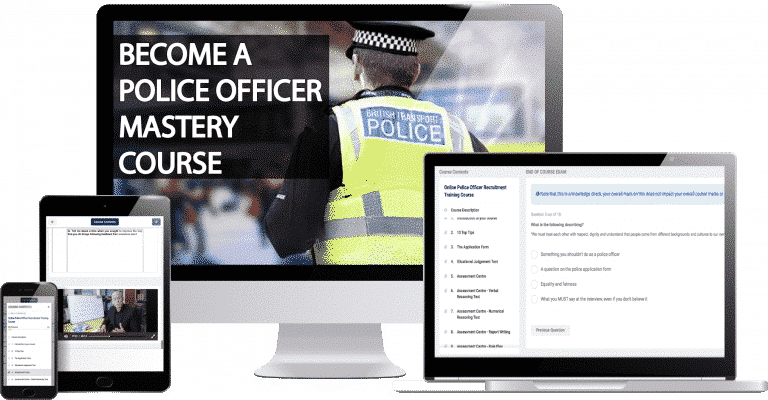 All of our content is created by our expert recruitment writers alongside members of the police community, including former police recruitment trainers. 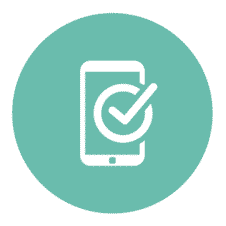 This ensures we provide you with the best resources and content available! Community Access – get access to our community of aspiring and qualified police officers on How2Become’s exclusive forum. Video Training – Over 3.5 hours of video tuition broken down in easy to absorb modules, perfect for learning at your own pace – at home or on the move. Interactive exercises from the UK’s leading police recruitment specialists. Simply put: we strongly believe our training is the best. 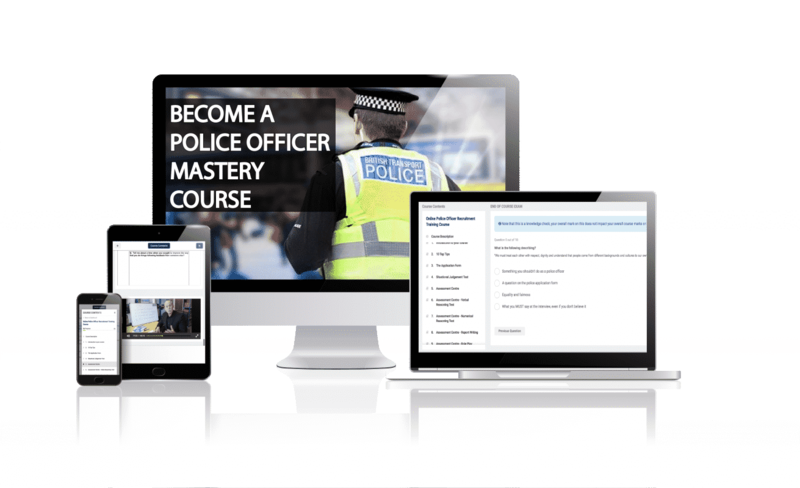 We are the UK’s leading police career recruitment publisher and course provider. Our material is PROVEN to help candidates pass their entire selection process and this course contains ONLY our BEST material which we’ve been teaching for over 13 years. Let us help YOU become a police officer. Yes, you can find other training and certifications that cover similar topics, but training through How2Become is like no other. This course is built by real recruitment experts who actually know the police recruitment process inside-out. How2Become has a proven track record with training police officers for over 10 years. In other words, we aren’t a “one-man-band” or just “researchers”. 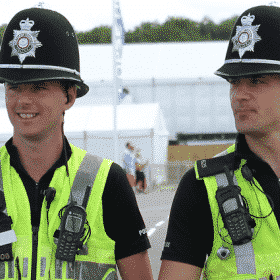 We’re in the-thick-of-it trainers and recruitment experts who produce the UK’s best selling police recruitment books (12,000+ Police books sold) and run bi-weekly police courses in Kent training 1000s of people. We work with former police officers and a former MET police recruitment trainer. 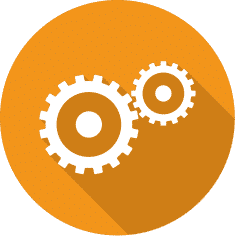 PLUS, we have even been known to send members of our team through particular selection process, just so we can give you the very latest recruitment advice! If that sounds appealing, then welcome! You’ve found your new police training home. 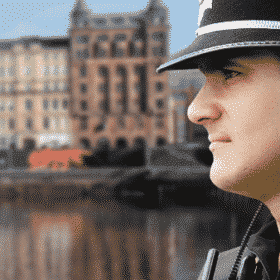 The journey to becoming a police officer and how this course will help you to become a police officer. The ESSENTIAL knowledge that all successful candidates need to know in order to become a police officer. Sample high-scoring application form sample answers. What the assessors are looking for in your SJT answers. The key to your success at the assessment centre/’Day 1′. 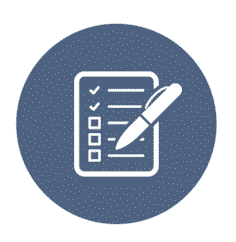 2 Mock assessments [downloadable] and answers to get you fully up-to-speed. Maths is not everyone’s cup of tea! 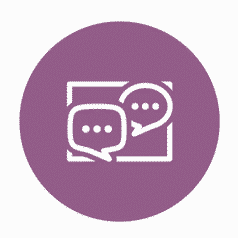 That’s why we have paid extra attention here to make it easy for you to understand the question types you will face and how to answer them. A numerical mock assessment [downloadable] and detailed answers. And what you ALWAYS need to include to score highly. PLUS over an hour of tuition [Video Learning] on the role plays, including two scenarios acted out in full for you to watch and learn from. How do I construct my own high-scoring answers? Practice questions for you to come up with your own responses. You can retake the test as many times as you need, but it is under timed conditions and you will need to revisit your notes if you fail. INSIDER ADVICE: What every aspiring police constable NEEDS to know to pass the selection process with ease. The QUICK-WINS that enable you to demonstrate the core competencies THROUGHOUT the selection (and score higher than the other applicants). Our PROVEN training methods and practice exercises that will help you prepare to pass. 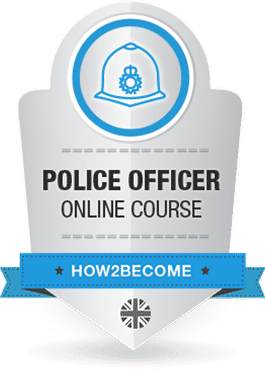 Over 13 years of advice in a compact and easy-to-absorb course that allows you to learn anywhere (use your smartphone, laptop, MAC or PC) and at your own pace (increasing your chances of becoming a police officer). ALL of the TESTS you will face, how you will be assessed and what you must do to SCORE HIGHLY. Plus practice the tests themselves! (if you practice the tests before your real assessment, your greatly better your chances of success). 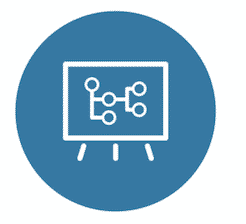 VIDEO TUITION and worksheets keep the training engaging and interactive. This course is designed to help you LEARN more and be more PREPARED. Preparation is key to your success throughout the police constable/officer selection process and this course provides everything you need. Our sincere hope is that you’ll love what you see and choose to stay with us, and maybe even recommend us to others who want to become police officers. If you do stick with us, GREAT! Just cancel before the 7 days are up, and you’ll never pay a penny, but you’ll have gained a wealth of invaluable knowledge. But if you do love it (and we think you will), you’ll automatically be renewed at our charter member rate of just £27+vat per month. A paltry sum…especially when compared to what you’ll make when you secure your career as a police officer. So, what are you waiting for? Secure your future by acting now! Order below.